Bodybuilders are not born with great bodies. They start building their body from the scratch. It requires stamina, perseverance and time to build the body like that of a bodybuilder. Remember, all bodybuilders were sometime like most ordinary people. Hence, if they could work on their bodies, build muscle and be called bodybuilders then anyone can do so. Even though machines are great for workouts, if you want to look like a bodybuilder then stick to free weights. Using free weights is better as you will be able to work muscles through them which cannot be done by machines. Free weights allow you to work on different body parts as you control the weights. This allows muscles to grow faster. This implies that you are working out two linked muscle areas instead of one. This has two advantages – it makes you complete your workout quickly and adds lean bulk to the body. Double-sets are more effective than single-sets. The muscles tire faster and since the workout is targeting two muscle groups you gain more muscle. Push yourself to the extreme while training. Cut down the resting time between sets; if you had rested for a minute earlier cut it down to half a minute. Another way to train hard is to increase the number of repetitions that you normally do. This will tire your muscles and make them stretch. Adding variation to the exercise routines ensures that all the muscles in your body are getting a workout. It also makes certain that the monotony does not set in and the body does not get used to the routine. If this happens the body will hit the plateau. Avoid this by trying new routines which are as effective as the previous one. Rest is important when you are building muscles. During your sleep the muscles growth take place. Catch at least 8 hours of sleep each night. If you do your exercise routines wrong, be rest assured that you will fail in building your body like body builders. You must follow the correct techniques and reach till the very last repetition of the set. If you do it wrong and lack the intensity, the effort would be lost. Using a wrong technique also puts you at the risk of sustaining injuries. If the weights are too heavy you will not be able to do the sets properly. Switch to proper weights and then do your workout. With proper weights the workout will be more powerful than with heavier weights that you cannot handle. Eating the right foods is the most important part of bodybuilding. Junk foods should not be part of your diet to avoid belly fat build up. Let your diet comprise of high protein foods. Also include enough complex carbohydrates and healthy oils such as olive and canola. Muscles require protein, so eat a lot of fish, eggs, meat, and soy. You could even try protein bars and shakes. 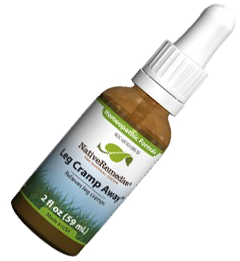 CLICK THE BOTTLE BELOW for Leg Cramp Away – Amazing homeopathic medicine that relieves cramp! How quickly you get a body like a bodybuilder is entirely up to you. However, do remember – no pain, no gain. Participate in our weekly home remedies e-newsletter and have home cure and organic health and well being pdfs such as this one presented to your inbox weekly completely free!. 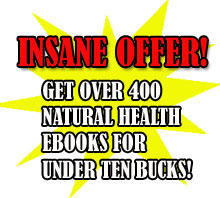 In case you invest in my exclusive ebook, “The Big Book of Home Remedies” you are going to additionally gain immediate access to our privy members area and this enables you to install any of our 415 and more quality health pdfs totally free. Plz give me name of this bodybuilder. He is a slovak champion in bodybuilding by the name of Erik Toth. To top it all, practice discipline. One should not just set body builders as examples because, in today’s circle, there are a lot of misconceptions when it comes to body building. The use of steroids, for example, is not a recommended way of developing muscles. I still prefer to go the natural way. Well, nothing wrong in taking supplements but be sure that they’re from a reputable pharmacy and with the guidance of a professional. Not just because everyone is doing it, you will also do it. Don’t overdo it, never abuse supplements or you’ll end up being a mess. Anyways, these are some great tips. Keep sharing!